After I concluded that freemium is not the best business model for all, the continued rise of ‘free’ software has led me to revisit the same question. In a fascinating piece of research by Price Intelligently, over 10,000 technology executives were surveyed over 5 years. 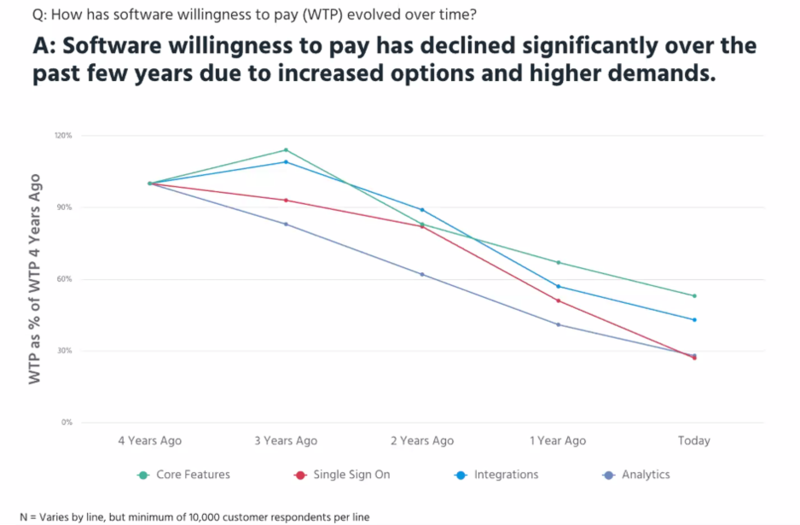 Their willingness to pay for core features of B2B software has declined from 100% in 2013 to just over 50% today – as a whole wave of VC-funded SaaS companies has flooded the market with free product. For add-ons like analytics, this drops to less than 30% willing to pay. Patrick sees this as an extension of the trend in physical products, where offshoring, global scale and cheaper routes to market online have led to relentless price depreciation (in real terms). I’m not so sure. Software is not free to manufacture, although the marginal cost is close to zero – since cloud hosting costs are so cheap. The fixed cost is the people-time to design and build the components, and the opportunities for lowering that cost – through offshoring the work or more productive software frameworks – have already been exploited by most SaaS companies. 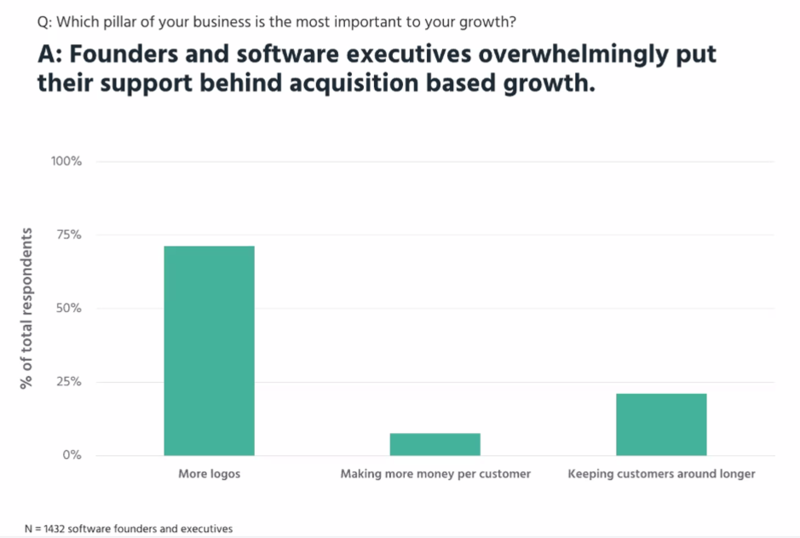 To pile on the pain, a survey of software executives also found that the average number of competitors in any given niche has increased from 10 to 15 over those 3 years. Even if software build costs are falling, those costs are being spread over a small number of customers – making the chance of breaking even lower. And the other big cost – Customer Acquisition (CAC) – is actually rising with the volume of competition. What is the route of this economic hole? Focussing on monetising a few existing customers for one. Most SaaS executives were focussed on acquiring new customers (more logos), probably because with a free product they expected to sweep up the market and worry about monetization later. But this turns out to be the least effective route to building revenue. For every 1% increment, Price Intelligently calculated how much this would increase revenue. i.e. If I signed up 101 users over the year, rather than 100, that would increase revenue by 2.3%. Monetization – increasing the Average Revenue Per User (ARPU) – has by far the larger impact, mainly because many customers don’t pay anything currently. In contrast, the impact of customer acquisition has fallen over 3 years, since the average customer is less likely to pay. Monetization is not about increasing prices for everyone – or charging for previously free features – but rather finding the small number who are willing to pay, and charging them appropriately. My company, Littledata, has many parallels to Profit Well (launched by Price Intelligently). We both offer analytics and insights on top of existing customer data – Littledata for Google Analytics behavioural data, and Profit Well for recurring revenue data from billing systems. And we have both had similar customer feedback: that the perceived value of the reporting is low, but the perceived value of the changes which the reporting spurs (better customer acquisition, increased retention etc) is high. So the value of our software is that it creates a requirement – which can then be filled by consulting work or ‘actionable’ modules. For myself, I can say that while focusing on new customer acquisition has been depressing, we have grown revenues once a trusted relationship is in place – and the customer really believes in Littledata’s reporting. For Littledata, as with many B2B software companies, we are increasingly content that 80% of our revenue comes from a tiny handful of loyal and satisfied users. 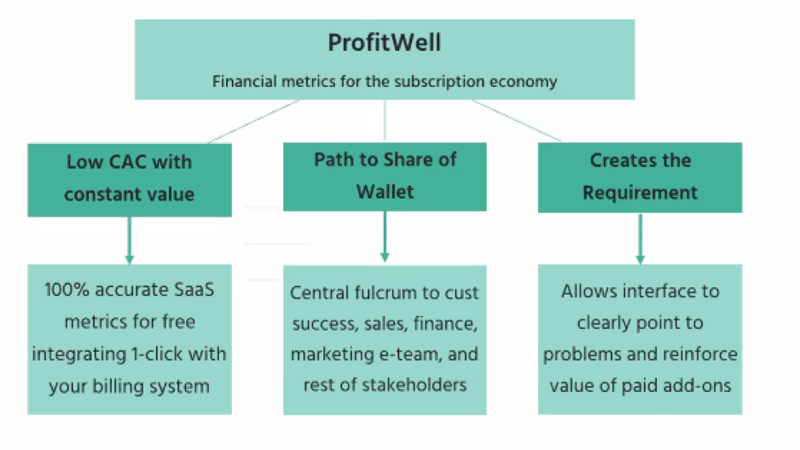 In conclusion, while the cover price of software subscriptions is going to zero, it is still possible to generate profits as a niche SaaS business – if you understand the necessity of charging more to a few customers if the many are unwilling to pay. Freemium may be here to stay, but if customers want the software companies they rely on to stay they need to pay for the benefits. Would you like to further discuss? Comment below or get in touch!